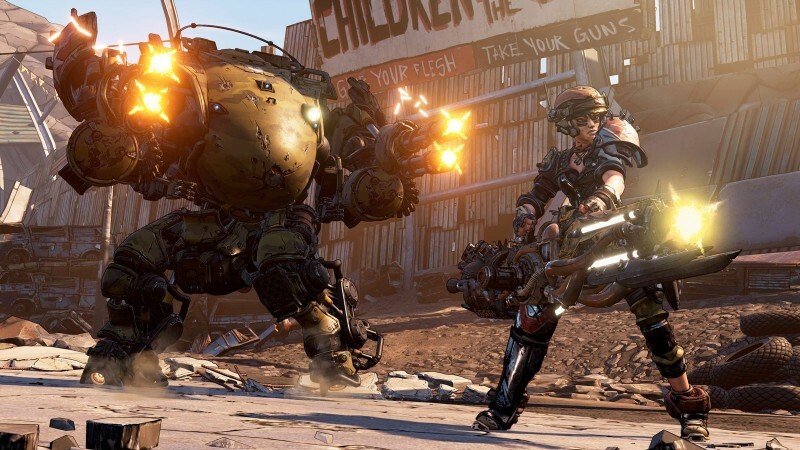 Gearbox and publisher Take-Two released another Borderlands 3 trailer (click the header above) to go along with the official reveal last week. Among the requisite guns and loot are the names of our new vault hunters as well as some of the enemies you’ll encounter as you explore the game’s new worlds. Moze (with destructible mech at her side), beast master FL4K, spectral-fisted siren Amara, and gadget-focused Zane face off against the Calypso Twins, who’ve built up a formidable cult around themselves. For more on Borderlands 3, check out some of the details we pulled from the first trailer as well as sit in on this discussion on what we expect from the title. Click here to find out more about the game’s deluxe editions.